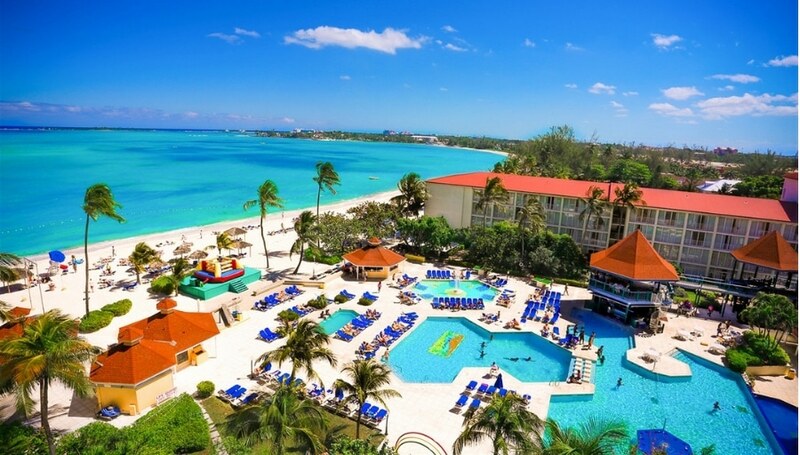 Enjoy a 4 Days and 3 Nights Stay in a 1 Bedroom Suite at the Seabreezes Vacation Villas & Country Club for this Labor Day Bahamas Vacation for as little as $699! Imagine celebrating this Labor Day on a beach in the Bahamas. Now imagine taking a cruise to and from there, and taking a glass bottom boat ride for two. With this Labor Day all that is included. Stay at the Sea Breezes Executive Suites for 4 days and 3 nights for only $699, in a one bedroom suite. That price includes the hotel stay, the round trip on the Grand Celebration Cruise, 2 FREE tickets for a glass bottom boat ride, and a dinner cruise. Who would want to stay in some cheap hotel when you could be experiencing this Bahamas vacation! Wake up to picturesque sunrises and continue to see the beauty of the Bahamas as the sun shines all day. The weather will be perfect for anything you decide to do. Clear skies and cool water, what could make this vacation any better? Staying at the Sea Breezes Executive Suites is like staying with family. With a friendly atmosphere, and lots to do, this is the place to stay this holiday season. There is a barbecue and picnic area, as well as a pool and a hot tub. It is only a 3 minute walk to the beach that is quiet and private. It is a gated resort so safety is ensured. Each room has all the things you need for a comfortable stay. The Bahamas is a hot travel destination. Over 5 million US citizen visit the Bahamas each year. Who wouldn’t enjoy a stay in a place that has powder white and pink sand, and ice clear waters. Visit one of the museums on the island or one of the water parks. Go shopping and bring home some memories. Venture out onto the water to go swimming, fishing, diving and so much more. Book now, your dream vacation awaits.